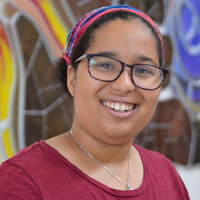 Isaama Stoll is a forth year rabbinical student at Hebrew Union College-Jewish Institute of Religion in Cincinnati. A native of the Washington D.C. area, she graduated from Carleton College with a Bachelors of Arts in Religious Studies. As part of her rabbinical training she has served as the student rabbi of B’nai Israel Synagogue in Grand Forks, North Dakota and Temple B’nai Israel of Bay City, Michigan. Isaama is passionate about questions of Jewish diversity and the importance of diversity in the rabbinate.